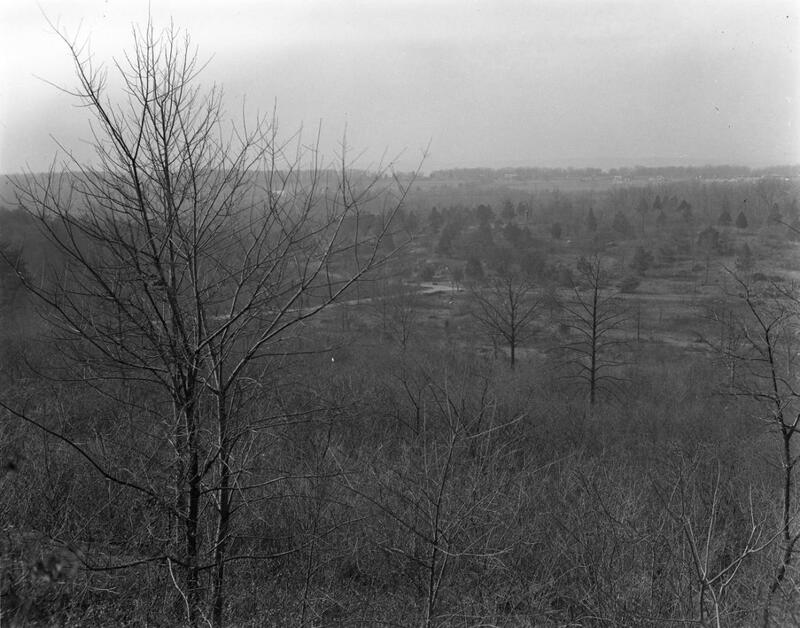 This 1936 view was taken facing southwest looking towards the Slaughter Pen and Devil’s Den, prior to brush clearing by the Civilian Conservation Corps. Courtesy of the Center for Civil War Photography, which has more than 1,000 historic Gettysburg Park images like these on their Flickr. 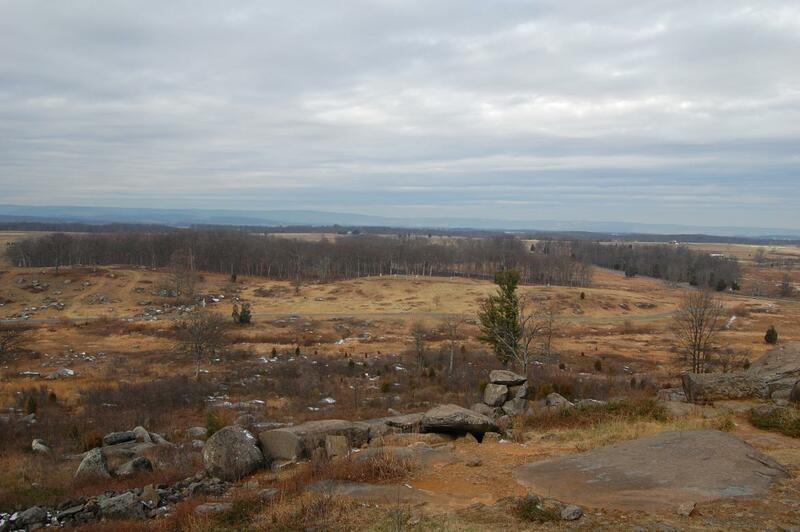 One of the most visited locations at Gettysburg National Military Park, Little Round Top is famous for the striking view visitors have of the battlefield. With the rehabilitation projects that have taken place in the last decade, the view has opened up considerably. 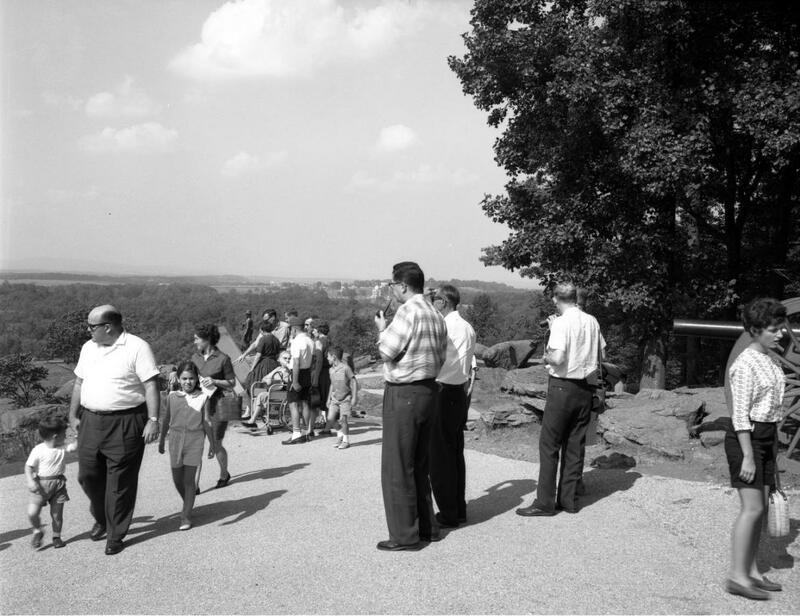 Today we will show you a few older photos of past clearing projects and contrast it with the view visitors have today. 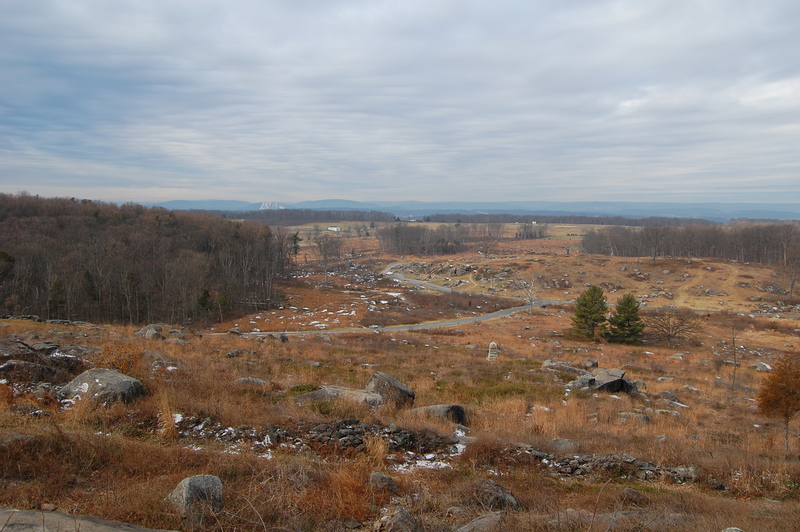 Here is a more modern view towards the southwest, in which the Slaughter Pen and Devil’s Den are visible. This view was taken facing southeast at approximately 10:15 AM on Wednesday, December 22, 2010. Taken eight years after the first picture in this post, this image shows the extent of the trees and undergrowth present on this portion of the field. This view was taken facing southwest on January 12, 1944. Courtesy of the the Center for Civil War Photography, which has more than 1,000 historic Gettysburg Park images like these on their Flickr. Sixty-six years later, the view towards Devil’s Den and Warfield Ridge is much better. This view was taken facing southwest at approximately 10:15 AM on Wednesday, December 22, 2010. 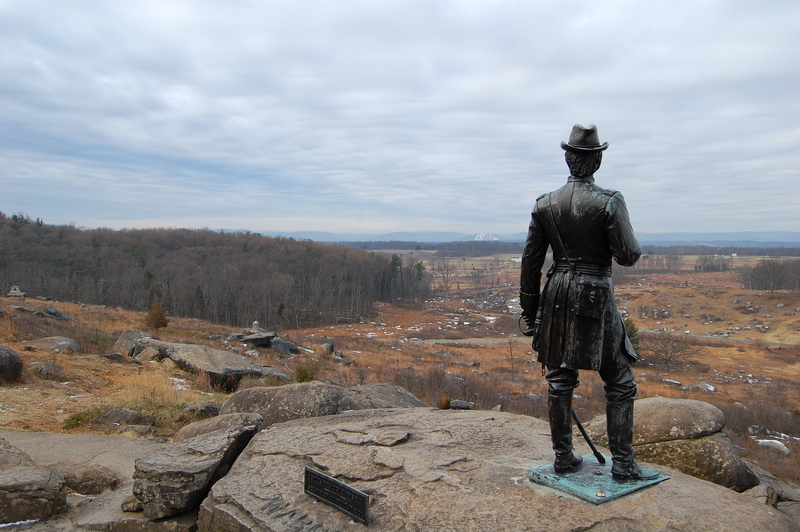 Eleven years after the last black and white photograph was taken, it was at least possible to see the 16th Michigan monument from the west side of the 91st Pennsylvania (where we take our Little Round Top panorama). 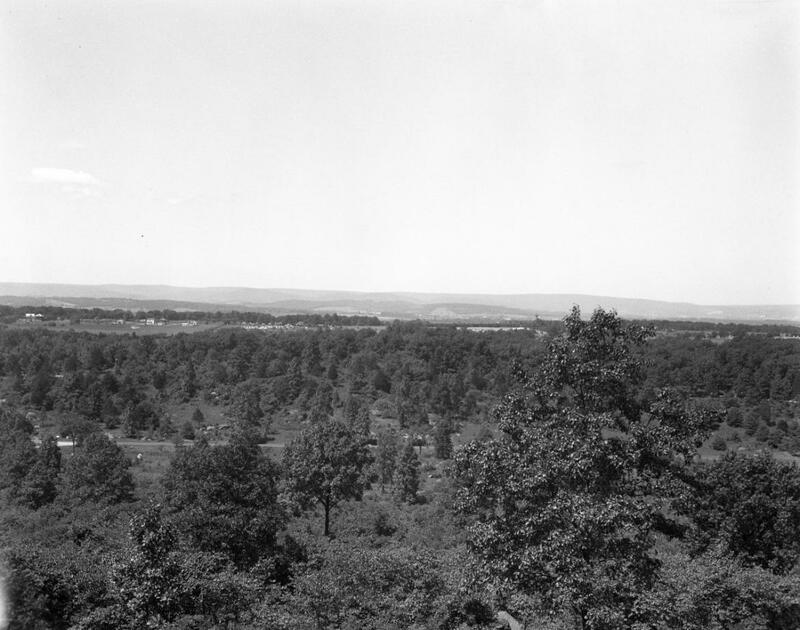 This view was taken facing south circa 1955 and is courtesy of the the Center for Civil War Photography, which has more than 1,000 historic Gettysburg Park images like these on their Flickr. Turning to the right, the photographer captured this view, taken facing west circa 1955. Explaining troop movements taking place in the famous Valley of Death below must have been difficult from this vantage point. Courtesy of the the Center for Civil War Photography, which has more than 1,000 historic Gettysburg Park images like these on their Flickr. 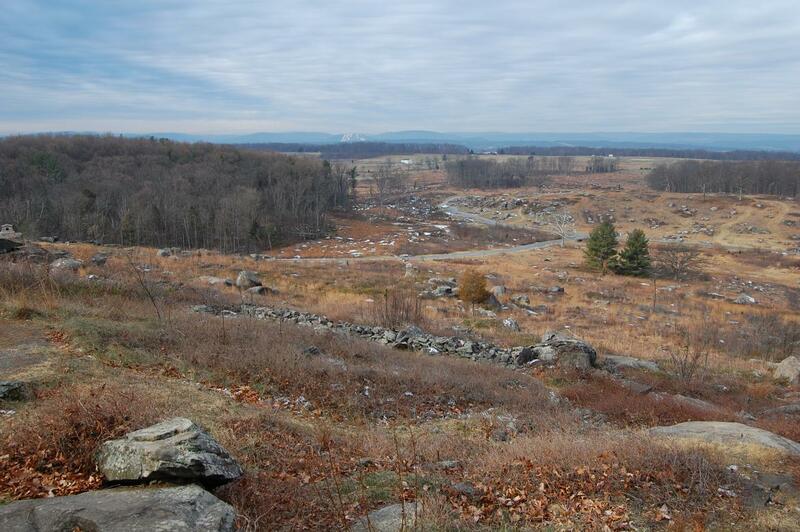 It is amazing to consider how many millions of visitors in the last hundred years or so were not afforded this clear view from the slope of Little Round Top. This view was taken facing west at approximately 10:15 AM on Wednesday, December 22, 2010. Of course as most visitors walk out onto the summit of the hill, many of them head immediately towards the Warren statue. 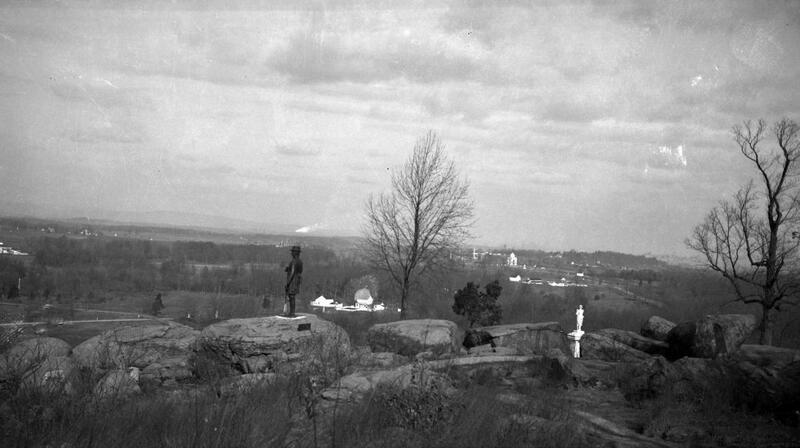 If you expand this 1940s view, the observation tower in Ziegler’s Grove is visible (just to the left of the Pennsylvania Monument). 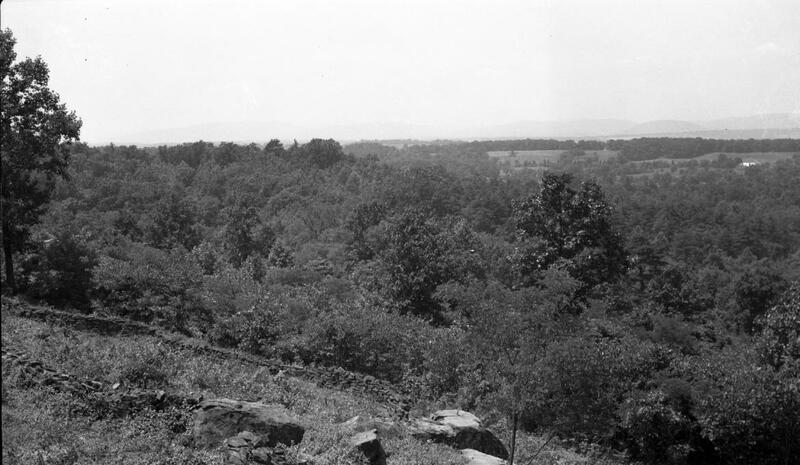 This view was taken facing north circa the 1940s and is courtesy of the the Center for Civil War Photography, which has more than 1,000 historic Gettysburg Park images like these on their Flickr. The Cyclorama Building, constructed between 1959 and 1962 can be seen here (under construction), just to the left of the gentleman smoking the pipe. 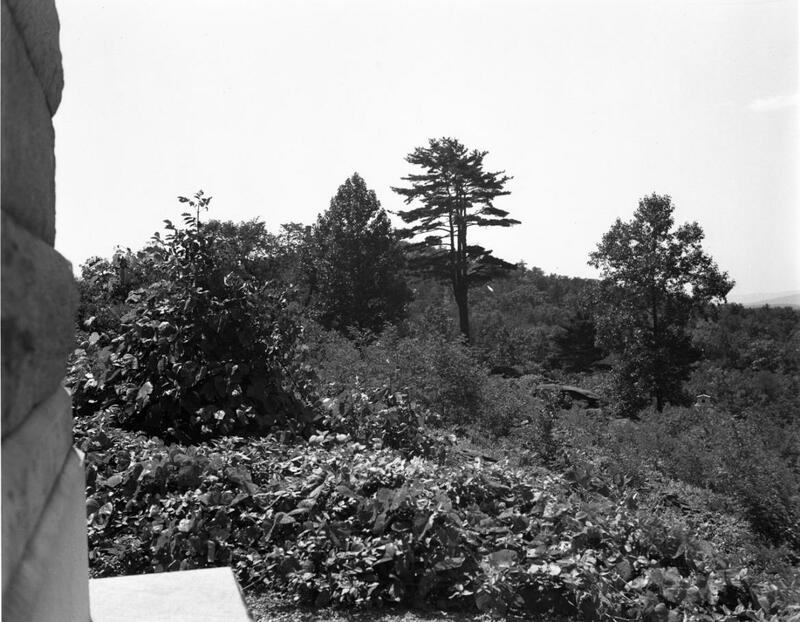 This view was taken facing north on September 21, 1961. Courtesy of the the Center for Civil War Photography, which has more than 1,000 historic Gettysburg Park images like these on their Flickr. A modern view of the previous image in front of Hazlett’s Battery (5th US, Battery D). This view was taken facing north at approximately 10:15 AM on Wednesday, December 22, 2010. 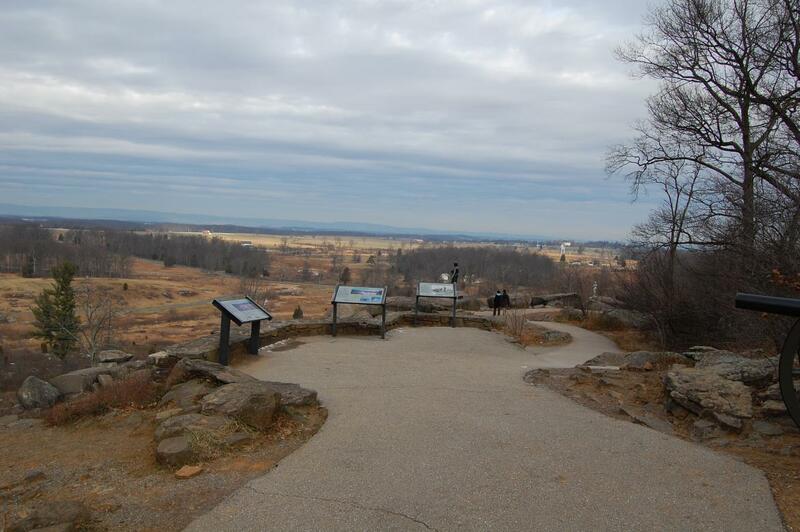 It is nice to be able to show today’s battlefield visitors that Brigadier General Warren was able to see more than just trees as he stood on Little Round Top in 1863. This view was taken facing southwest at approximately 10:15 AM on Wednesday, December 22, 2010.